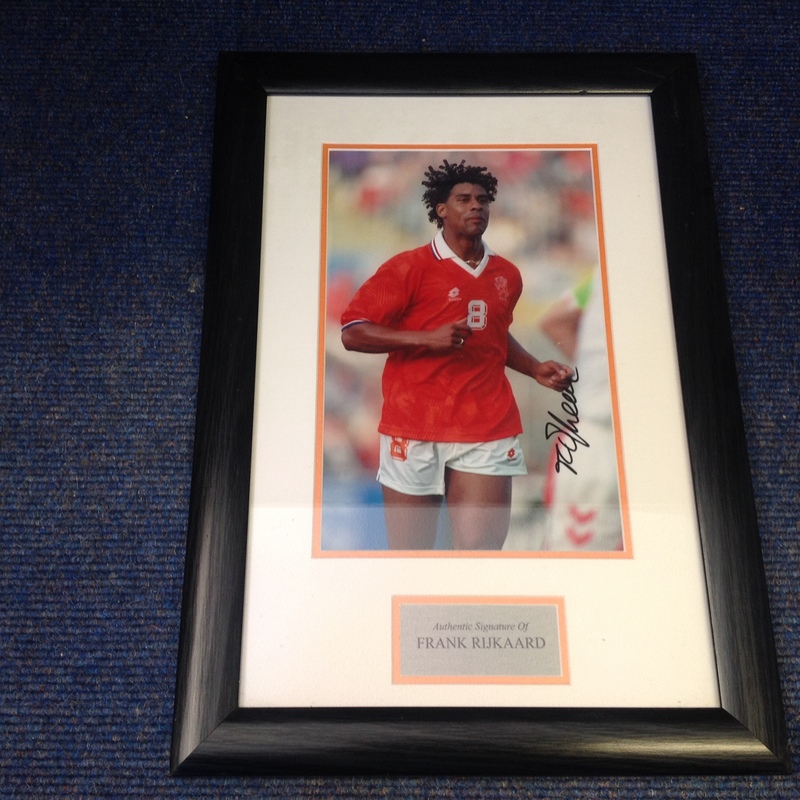 Football Frank Rijkaard 20x14 approx framed and mounted signed colour photo pictured playing for Holland. Franklin Edmundo Rijkaard is a Dutch former footballer and former manager who played as a midfielder or defender. Rijkaard has played for Ajax, Real Zaragoza and Milan and represented the Netherlands national team side 73 times, scoring 10 goals. Good Condition. All signed pieces come with a Certificate of Authenticity. We combine postage on multiple winning lots and can ship worldwide. UK postage from £3.99, EU from £5.99, Rest of World from £7.99.